Bourbon Ubu brings home the hardware! We are very honored to announce that Bourbon Barrel Aged Ubu Ale was awarded a Bronze Medal at this year's NY State Craft Beer Competition. Look for the next batch of this award-winning brew to be available in late September, early October, and make sure to reserve your bottles early! 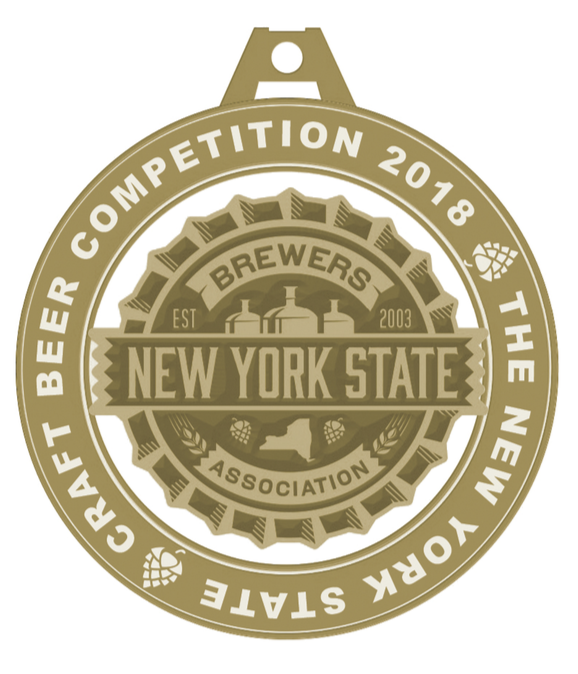 Our sister brewery, Lake Placid Pub & Brewery, was also honored with Ubu's Golden Ale being awarded a Gold Medal as the Best Golden/Blonde Ale. Last year they were awarded a Bronze medal for this beer so they are especially proud to be a repeat winner and the Gold Medal winner this year. Congrats to Kevin and the entire brew staff for bringing home the hardware.